The lingering economic crisis in Russia and volatility of the ruble are pushing the citizens of our country to search for earnings abroad. One of the most attractive countries for making money for many years remains the United States of America. In the USA unemployment stays at a consistently low level. On average, for an hour here you can earn 20-25 dollars, and in a month the Americans gain 2500-3500 dollars. 7. Workers in factories and plants. Salary from 1500 $/month. Hourly payment. 8. Workers at the construction site. From $ 1500/month, depends on the qualification and a number of working hours. The listed specialties are considered to be low-skilled, they are occupied by either students or newly arrived immigrants. Such vacancies are always available, as a rule. The US government especially welcomes students. Since 1960, in the USA Work and Travel USA program is carried out. The participants of the program are boys and girls between the ages of 18 and 21 who know English. For a season they manage to earn from one and a half to three thousand dollars. It is much more difficult to find a qualified work in the USA for immigrants. There are enough applicants for such positions from the indigenous population, so it is not easy to compete. In addition, many experts are tied to a specific country. For example, an educator, lawyer or pharmacist with a Russian education can not work in the States, because there is another education system, different legislation, different medicines. 3. A doctor, in particular it concerns surgeons, anaesthesiologists, dentists. Qualified work is paid better. This is already be about an average salary of 2.5-3.5 thousand dollars a month. 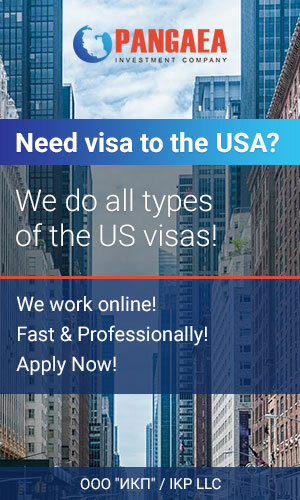 In order for an American local company to become interested in you and the authorities to issue a work visa, you must know English at the definite level, have experience and qualifications in a sought-after specialty. The most popular way of employment in the USA is through recruiting agencies. For immigrants, the services of such firms are usually free of charge. Such agencies can be contacted in advance, before coming to the USA. The resume you send them must be written in English. In the USA you should immediately get a social card used to collect taxes (without it you will not be able to get a job).